I’m very impressed with the aesthetics of the Hush and it’s packaging. Everything is designed well – from the earbuds, to the case, and even down to the product box. When opening and handling it, I really felt like I was handling a premium product. Something that I would say isn’t very common for crowdfunded products. One thing that really made me bite on this Kickstarter was the comfort guarantee that they offered. 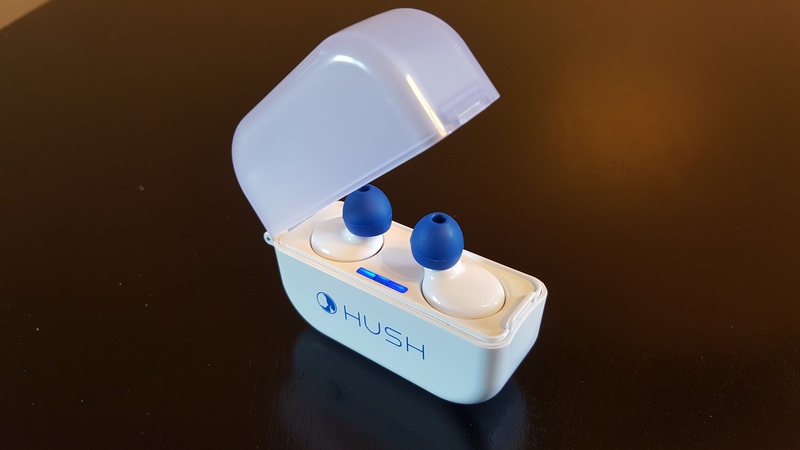 Hush’s confidence regarding the comfort of the device inspired its creators to offer a guarantee that would allow backers to have a “90-day, no questions asked return policy”. Having something in my ear for the 6+ hours that I would be sleeping (especially for a side sleeper like me), really worried me. I have to say that I am slightly disappointed with the comfort (or lack thereof). 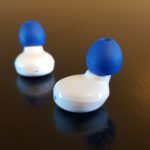 I have tried nearly all of the included earbuds (7 in total), and they all result in at least a little bit of discomfort throughout the night. 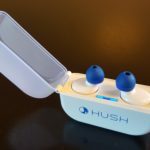 I am used to wearing wax and foam earplugs on a nightly basis and the Hush definitely causes some aching where the other options don’t. I reached out to the creators to ask them about their guarantee (over a week ago) and unfortunately have not heard a response. I also asked them for information regarding custom fitted buds (as they did offer that as an option), but I am still hearing crickets on that question as well. 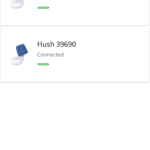 A bit buggy is probably a good description for the app that Hush provides. This is another major concern for me, but hopefully one that they can clear up with software / firmware updates. 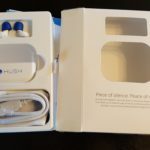 The main problem is that one or both of the earbuds would disconnect from the phone throughout the night. This made it so that I could not rely on them as my main alarm or as a means of getting notifications that were important to me while I slept. This was a big let down as I had hoped to be awakened by the earbuds in a manner that wouldn’t disturb my wife or family. Hush is really missing the boat here, and I hope they rectify this sooner rather than later. 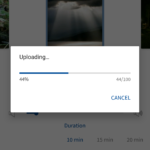 Another worthwhile observation regarding the software is that you can only load one soundclip on the earbuds at a time and the upload process took a couple minutes to complete. 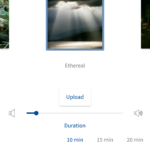 You can then have the earbuds play the sound for a set number of minutes / hours, or until you stop it / the battery dies. I was pretty satisfied with the diversity of the sounds provided and how they sounded, but the disconnect problem would often cause the sounds to stop before I wanted them to. The battery life seems fairly decent on the buds, and there is a built in battery in the included carrying case to keep you juiced even while out and about. I wasn’t really able to do an extensive battery test because of the disconnects, but I believe they should last you throughout the night at least. I was really excited for this project to complete. After many delays (typical with crowdfunding), I am ultimately let down with the results. 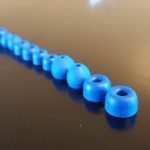 Perhaps the comfort of the buds can be improved with the custom molded insert, but otherwise I can’t really recommend them for prolonged periods. Maybe if you aren’t a side sleeper you could make it through the night without achy ears, but that isn’t the case for me. 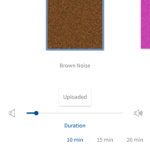 As for the software side of things, Hush’s creators really need to make some improvements. 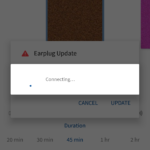 Solving the disconnect issue would change this product from a “cool idea” to a “reliable tool”. I would love to be able to wake up for work without interrupting the other members of the household. Also, getting a phone call for a work emergency in the middle of the night, while still annoying, would at least only be annoying to myself if I could rely on the buds to let the ring through. Until these things are fixed, I’ll be sticking to my trusty wax/foam earbuds to help me get a better night’s sleep.